According to the U.S. Forest Service, one out of every three bites of food consumed in the world is pollinated by animals. The success of crops, gardens, orchards and ecological balance relies upon pollination. Some plants, such as grasses and corn, rely upon the wind for pollination. However, 60 percent of flowering plants and 75 percent of crops require insects and other animals for pollination, according to the U.S. Fish and Wildlife Service. Eighty percent of the Earth's animals are classified as insects, according to Globio. Wasps, flies, butterflies, moths and beetles are just a small sample of the types of insects that provide pollination services. 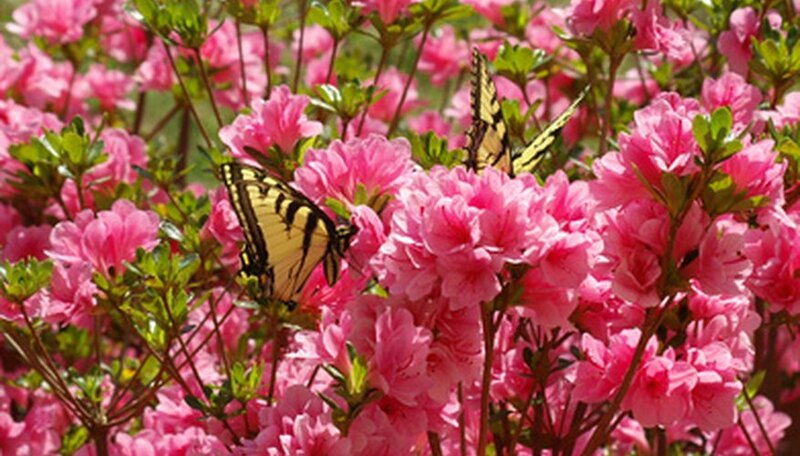 Bright and dark-colored flowers are usually pollinated during the day by flying insects, such as butterflies. White, fragrant flowers are often pollinated at night by beetles and moths. Insects are drawn to flowers in search of nectar and pollen. Many flowers are specifically designed to draw in pollinators and are shaped to hold nectar reserves. In the United States, hummingbirds provide the majority of bird-type pollination. Feeding off the nectar and pollinating insets, birds become dusted with pollen. They then transfer the pollen as they move from plant to plant. With a poor sense of smell, many birds frequent odorless flowers that are tubular in shape that offer sturdy supports for perching. Bats provide essential pollination in tropical and desert climates. The majority of flower-pollinating bats are located in the Pacific Islands, Southeast Asia and Africa. According to the U.S. Forest Service, the majority of flowers pollinated by bats are pale or white in color, very fragrant and open at night. Larger in size, they frequently contain large amounts of dilute nectar. Not only do the bats feed on the nectar, they also feed on insects and parts of the plants. Mangoes, bananas and guavas depend on bats for pollination, along with 300 other species of fruit. Lemurs, honey possums, flying foxes, bush babies, rodents and even lizards help in the transfer of pollen between flowers. The animals are in search of nectar or fruit, brushing against the pollen as they feed.